Did you know that April is National Poetry Month? 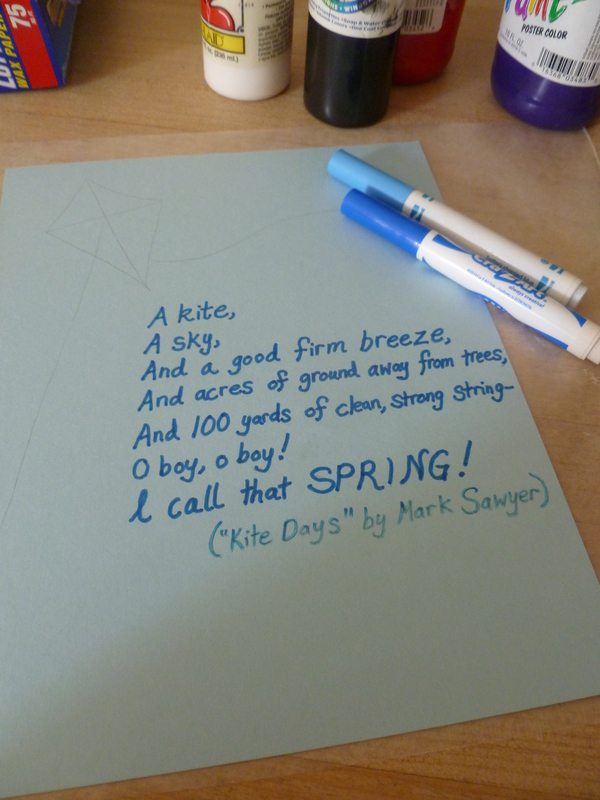 Let’s explore some fun facts about poetry and make a springtime “poetic” craft! Poetry is actually a form of literature. Sometimes poetry told (tells) about famous events. 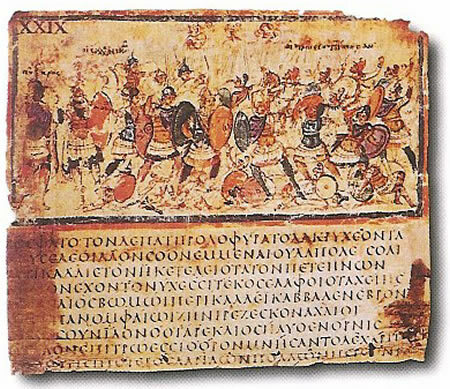 One of the most well-known poems ever written is the Iliad – which tells the tale of an ancient war between Greek armies and the city of Troy. Poetry doesn’t always focus on perfectly clear reality. It often describes aspects of nature or emotions and then focuses the readers attention on a new idea. Many types of poetry are open to interpretation by readers, which means we get sometimes get to decide what’s being described or imagined! Poetry shares a writer’s impression and thoughts and invites the reader to think in a new way about a common subject. Remember how poetry gives an author’s impression of something? Well, art can give impressions too. 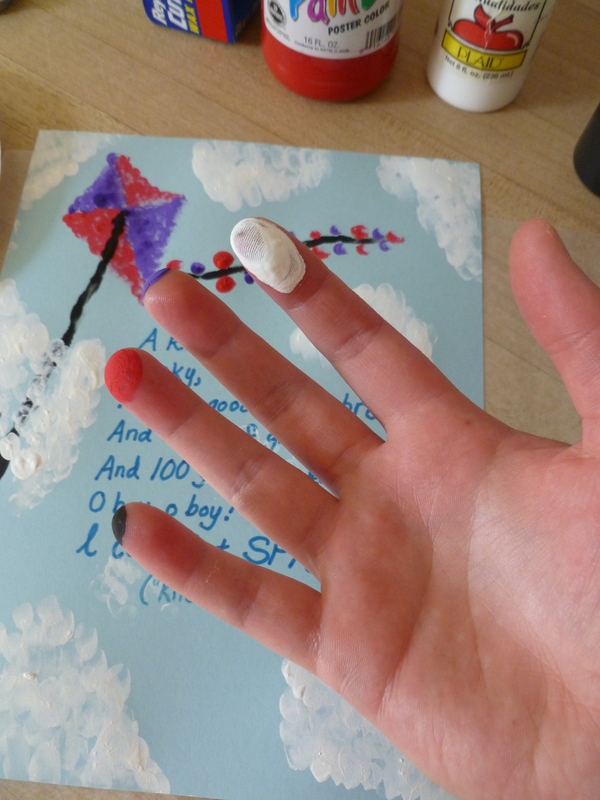 Today, we’ll combine some poetry and use our fingers to make an artist impression. Ready? Start by sketching a kite, kite string, and kite tail on the paper with the pencil. Next carefully write out the poem you chose. Outline the letters with a marker pen, but don’t outline the kite and strings. Lay some waxpaper out to protect the table or other work surface. 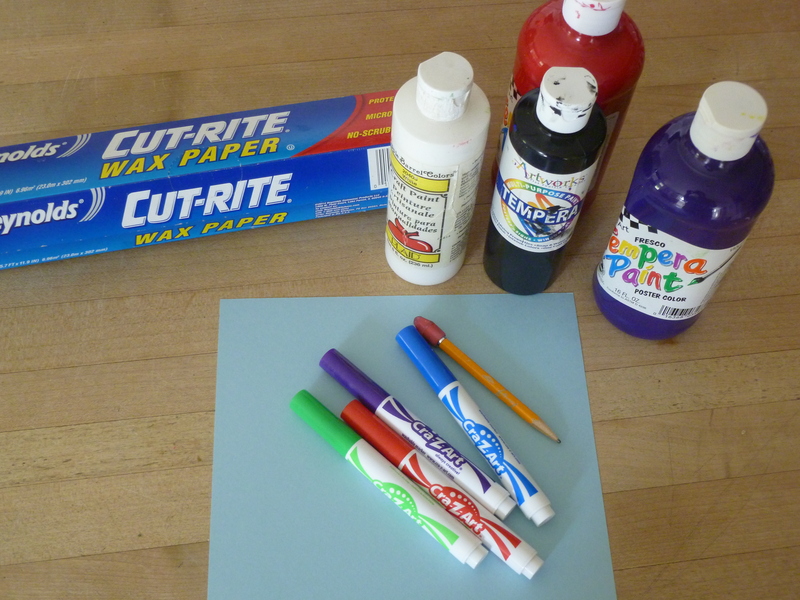 Pour a little of each color paint on the paper plate. Now, prepare to get messy! 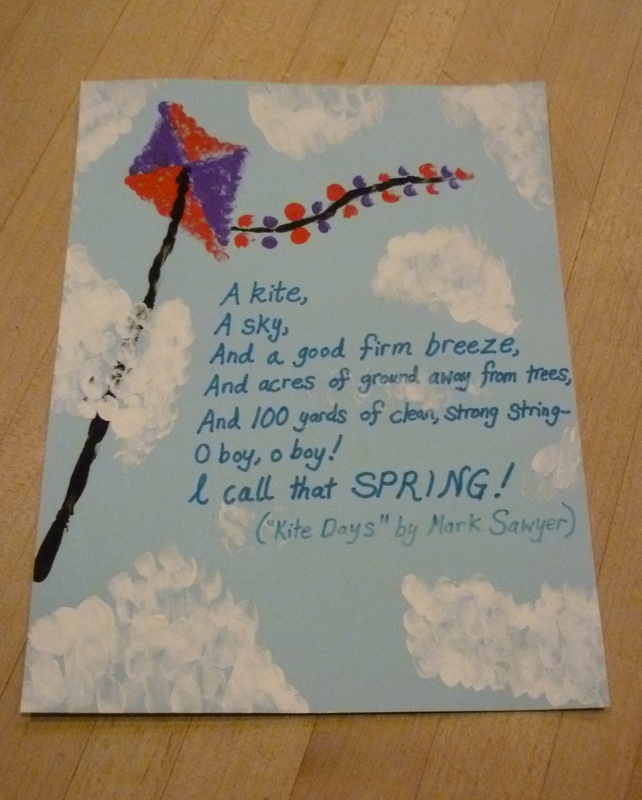 Using white paint, create fluffy white clouds around the edge of the page and near the kite and poem. Let your picture dry completely. You should have a slightly abstract impression of a kite in a cloud-filled sky, drifting above or alongside some poetry.